These are some appliance accessories and products I recommend. 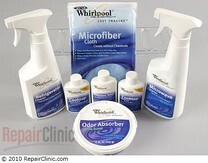 These products are for everyday maintenance, cleaning, or convenience for your appliances and home. On this page there are also reviews of these product with links to full reviews so that you will understand exactly what the product is and why you may need it. 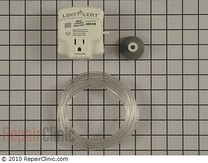 Lint Alert is a dryer vent clog detection system that alarms you when your dryer vent is clogged. When a dryer vent becomes clogged it is a real fire hazard. Lint Alert alarms you long before it gets to a dangerous point so you can clean your vent at the appropriate time. Lint Alert gives you the peace of mind that your family is safe each and every time you run your dryer. 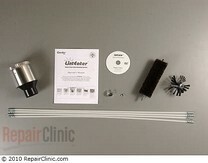 Lint EaterLinteater is a rotating dryer vent cleaning brush that attaches to your drill. This product is designed to help you clean your dryer vent like a professional. This kit comes with 4-3 foot long extension rod to clean dryer vents up to 12 foot long. If your dryer vent is longer than 12 foot you can purchase this extension kit that gives you another 12 extra foot, giving you 24 foot of dryer vent cleaning power. Vent Cleaning Brush This is a 10-foot dryer vent cleaning brush. I recommend this product because it is simple, yet effective. 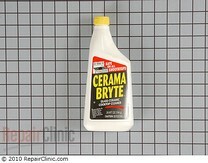 I used it for years for cleaning out dryer vents. However, I like the lint eater brush a little better because it doesn’t cost much more and you get so much more for your money. If you want an economical and simple dryer vent cleaning brush this one is for you. 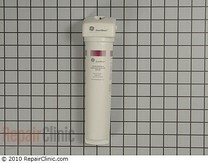 In-line Refrigerator Water Filter If your refrigerator doesn’t come with a filter you may consider installing an inline filter. 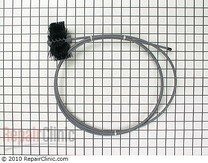 This is one that I recommend because it comes with a manifold for simple replacement. Once the filter manifold is installed, changing the filter is just a matter of unscrewing the old filter and installing the new one. The best part is you don’t even have to cut the water off to change the filter. 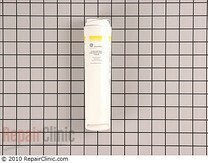 Replacement FilterRefrigerator filters should be changed every 6-12 months. This is the replacement filter for this manifold. The only drawback is for some reason the replacement filter cost more than the filter and manifold. So my advice is that each time you need a filter, purchase the filter and the manifold, keep the new manifold as a spare and simply install the new filter in the old manifold already in place. Home Care Cleaning KitI am an appliance repair tech but my job also requires me to deliver, install, and set-up new appliances in people’s homes. One of the most common questions I get is “what do I clean this with?” Well, Whirlpool has put together this kit that comes with appliance cleaners for your entire appliance cleaning needs. The kit comes with refrigerator cleaner, odor absorber, microwave cleaner, cook top cleaner, cook top protector, stainless steel cleaner and a micro-fiber-cloth. 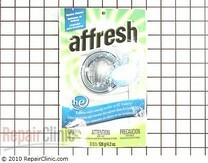 This is a great value for the price and you have a cleaner for just about every kitchen appliance. This is great cleaner for glass-top cook-tops. Cook Top Scraper-This scraper is designed by Cerama Bryte for cleaning glass cook tops. 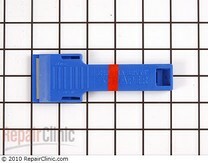 This is used for removing large burnt on stains. 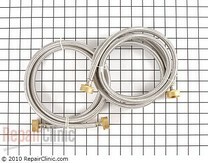 Stainless Steel Washer Fill Hoses Stainless steel washer hoses are far better than standard rubber hoses. 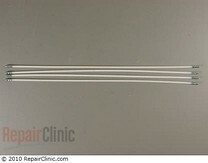 The risk of a rupture is far less because rubber hoses tend to swell up over time and can burst at any time. Washer Overflow Pan Washer overflow pans sit under the washer to catch any water leak. I highly recommend this product because washers do leak and it is very likely that if you own a washer it will leak before its life span is over. If you have an overflow pan, you will see water collecting in the pan and you will take care of the problem before serious water damage can occur. This pan holds approximately 7 gallons of water, which is not enough to hold a large leak but the idea is that it catches small leaks before they become large ones. 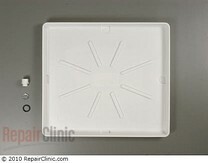 Also, it comes with a fitting that allows you to connect the pan to your home drainage system for ultimate leak protection. HE Washer Cleaner-One of the drawbacks to front loader washers is the fact that they are very susceptible to mildew which can cause an awful odor. This is so much a problem that washer companies started putting a clean cycle on the front loader washers. However, if your washer doesn’t have a clean cycle you can simply put the washer cleaner in the washer and start a normal cycle. I recommend using this product at least once a month to prevent this odor causing mildew problem. I hope these appliance accessories help you with all your appliance needs.